Go to… Go to… Home Pioneer Listings - Residential - Featured Lots and land Our Rentals Search for Homes - Advanced Search - Map Search - Foreclosures - Commercial Search - Winnebago County By City - Ogle County by City - Boone County By City - Stephenson County By City - Cherry Valley Homes - Monroe Center Homes - Winnebago Homes - Pecatonica Homes - Stillman Valley Homes - Byron Homes - Belvidere Homes - Poplar Grove Homes - Roscoe Homes - Machesney Park Homes - ROCKFORD Homes - CHERRY VALLEY Homes - STILLMAN VALLEY Homes - MACHESNEY PARK Homes - LOVES PARK Homes - Rockford Homes - South Beloit Homes - Loves Park Homes - Freeport Homes - Foreclosure in Rockford IL - Rockford Homes - Loves Park Homes - Machesney Park Homes - Cherry Valley Homes - Stillman Valley Homes - Foreclosure in South Beloit, IL - Foreclosure for sale in Loves Park, IL - Foreclosure for sale in Machesney Park, IL - Foreclosure for sale in Roscoe, IL - Foreclosure for sale Cherry Valley, IL - Foreclosure for sale in Monroe Center, IL - Foreclosure for sale in Winnebago, IL - Foreclosure for sale in Stillman Valley, IL - Foreclosure for sale in Byron, IL - Foreclosure for sale in Popular Grove, IL - Foreclosure for sale in Freeport, IL - Foreclosure for sale in Pecatonica, IL - Foreclosure for sale in Belvidere, IL - Most Recent Homes for sale in the State Line Area of IL - Homes for Sale in Rockford, IL $150,000 to $250,000 - Homes for Sale in Rockford, IL over $250,000 - Forclosures for Sale in Boone County, IL - Forclosures for Sale in Ogle County, IL - Forclosures for Sale in Boone County, IL - Forclosures for Sale in Stephenson County, IL - Forclosures for Sale in Winnebago County, IL Buyer/Seller Info - EPA lead - IHDA Grant - Disclaimer - Winnebago County - Tax Rebate Program - Helpful Articles - Dream Home Finder - FREE Market Analysis - Mortgage Rates - Schools - Relocation - Weather About Us - Our Agents - Contact Us - Our Blog - Maintenance - Testimonials - Why Register? - Pioneer Referral Services, Inc.
© 2019 Rockford Area Association of Realtors. All rights reserved. Information deemed to be reliable but not guaranteed. The data relating to real estate for sale on this website comes from Rockford Area Association of Realtors and the Broker Reciprocity Program.sm. 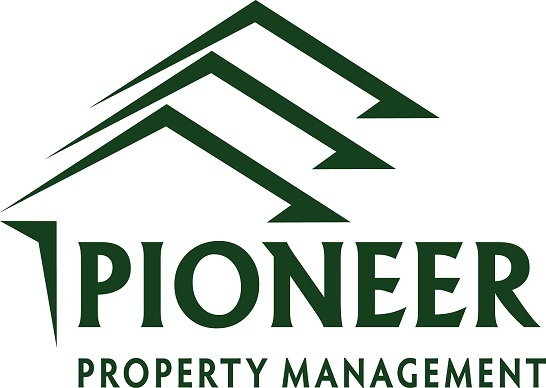 Real estate listings held by brokerage firms other than Pioneer Real Estate Services Inc are marked with the BR logo and detailed information about them includes the name of the listing brokers. Listing broker has attempted to offer accurate data, but buyers are advised to confirm all items. Information last updated on 2019-04-24.